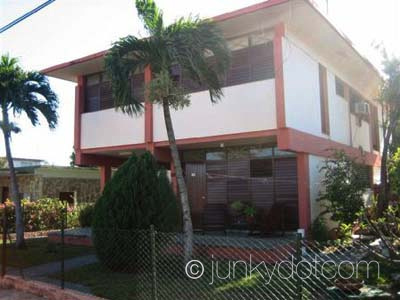 Varadero Bebita's Casa particular is a nice and cozy chalet located in the center of Varadero beach. You can rent the whole comfortable casa fully equipped at only 80 meters from the lovely white Varadero beach. Fantastic house to rent for for 4 people. The house has a private entrance, a kitchen, fridge, private bathroom, living room, table with 4 chairs and couch. The casa can be air conditioned if you want to, or otherwise just a fan which is good for the musquitos. Located in the center of Varadero Cuba with the beach at 80 meters away from the amazing white beach. By buying the Cuba Casa Directory app for Android and IOS. The Cuba Casa Directory is THE "Yellow Pages" for casas particulares in Cuba! All information including casa particular email addresses.